Reserva Ecologica Costanera Sur is a paradise for birdwatchers, joggers, lovers, enclave of nature, oasis of peace located next to Buenos Aires downtown. The area also known as Reserva Ecológica Costenera Sur (Costanera Sur Ecological Reserve) occupies about 350 hectares of land reclaimed in 1970’s from the Rio de la Plata during the urbanization process of Buenos Aires. Debris from city’s demolitions mixed with silt from the riverbed filled embankments creating a low land area of “waste-land”. The “remaining work” was done by spontaneous nature slowly invading the land. Wild grassland vegetation, swamps, natural ponds and surprising isolation from the nearby bustling city created a natural refuge for many species of birds and amphibians. With some luck you may even spot coatis (sort of South-American otters). That development in turn did not escape from the attention of city dwellers. The park became the favorite place for joggers, cyclists, a true paradise for bird watchers and in general for all those wanting to “disconnect” themselves from the chaos of the mega-city…. 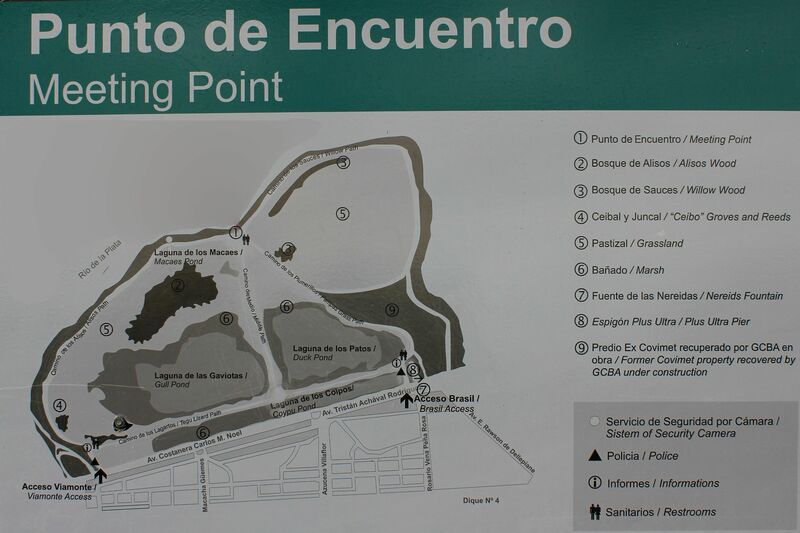 Cementing its status of natural reserve, in 1986 the Buenos Aires’ city council granted protection to the area – the Reserva Ecológica Costenera Sur was established. Source: Ministerio de Ambiente y Espacio Publico (Ciudad of Buenos Aires). What really amazes me is that fact that such unspoiled oasis of nature is just few minutes from the busy city center…. Unpaved paths are accessible only for pedestrians or bikers. Understandably it is forbidden to leave the trails because the nature here is still very fragile. But those wanting to be more “personal” with the surrounding “life” will find wooden walkways giving the chance to “invade the privacy of nature” without causing any damage. Along the shore there are also few dedicated picnic areas with benches. Personally I enjoyed pampas grasses. I know that for some it may be just the grass, but I was truly attracted by their grace and elegance of movements, fineness of sublime forms and shades of pastel colors…. 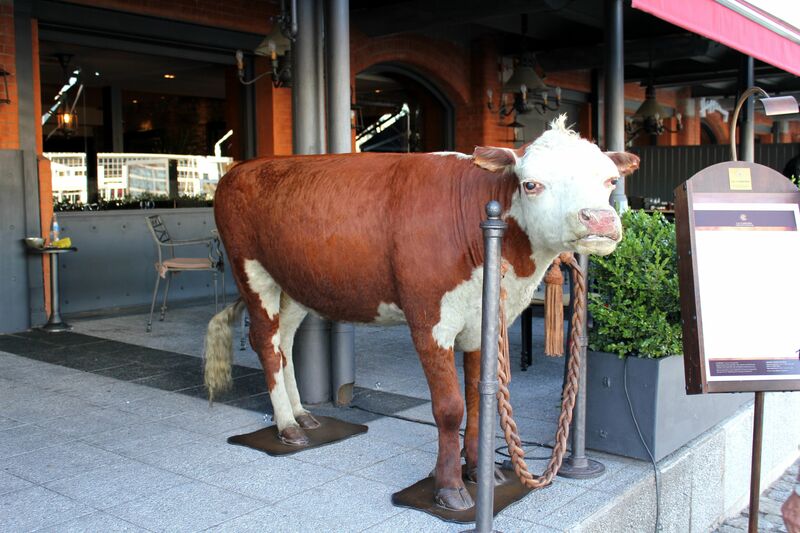 “Siga La Vaca" (“Follow the Cow”) is a very popular “All-you-can-eat” restaurant (here they are called “El tenedor libre” – literally meaning “A Free Fork”. The name tells you everything, for a fixed price (about $14 US) you can eat far more meat than you pay for. The price includes salad bar and a bottle of wine! If you are vegetarian then keep away! If you prefer salmon rather than the beef then try the restaurant called Fresh Market. Cabaña Las Lilas is one of the most famous restaurants. It may seem expensive for Argentine standards, but hey, for the same quality food you will pay much more in other countries. The final price includes extra 10 AR pesos for a “cover”, which is quite common practice in Argentina. “Marcelo” – is an excellent Italian restaurant owned by famous Buenos Aires chef Marcelo Piegari. The restaurant is specialized in seafood (mariscos), fish (pescados) and of course traditional Italian pastas, risottos. Price range from 85 -100 AR pesos ($22 to $25 US). 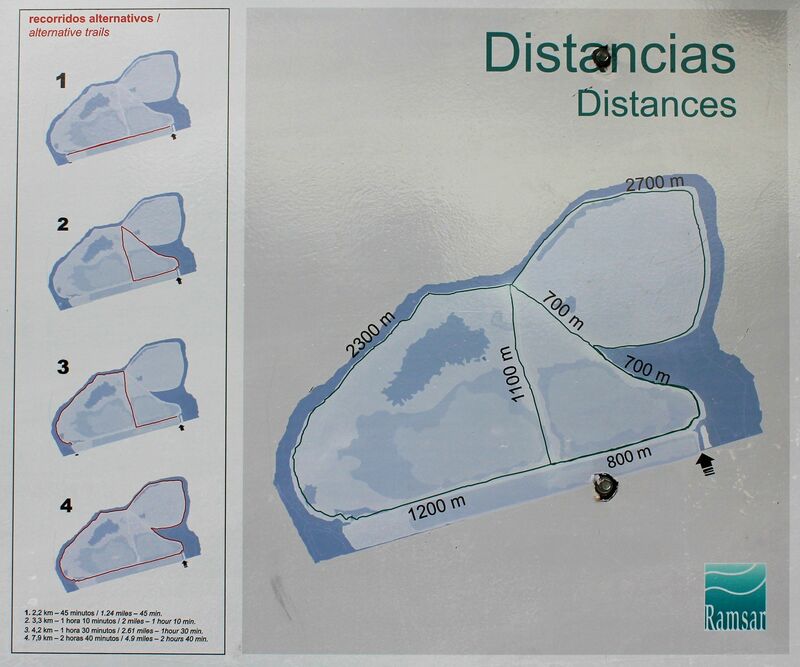 Left pictures - Laguna de los Coipos (Coypu Pond). Wilderness of the Laguna de los Patos (Duck Pond). On the right: Boardwalk over the waters of the Rio de la Plata. Grace and colors of Pampas Grass. Summarizing – Puerto Madero is a “must to see” part of Buenos Aires. Thanks to the well maintained past of old docks with red-brick storage facilities, iron-cast beams and loading platforms together with huge cranes and museum-ships, Puerto Madero preserved its historical identity. On the other side, recently built “concrete-glass-and-steel” towers and galleries (many of great architectural quality) added the elegance and splendor to this new district. Finally numerous parks filling the space in an attempt to prevent “concrete and asphalt” to completely take over, together with green acres of Ecological Reserve offer the peace and serenity – so much in demand in our crazy city lives. What is on the sky?